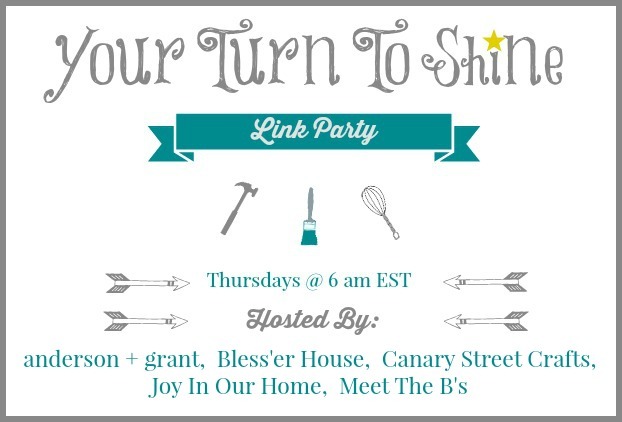 Welcome to another week of the Your Turn To Shine link party! We love to see what you've been working on each week! Show us any of your latest and greatest projects or recipes! 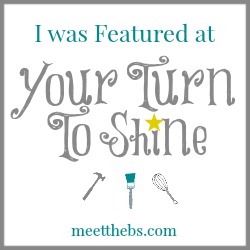 Since my husband and I are working on our laundry room right now, I am totally inspired by this one by One Thrifty Chick! 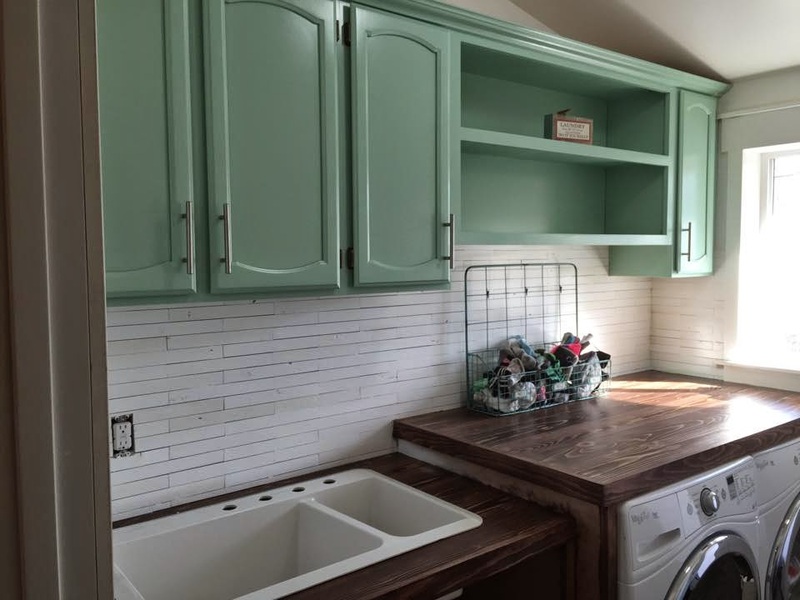 I'm in love with the cabinet color and that plank wall! Beautiful!